>> What is a Wine Cooler? – Appliance Or Exquisite Beverage? Wine aficionados have heard the expression “wine cooler” at least once in their lifetime. But what exactly is a wine cooler? This term has various meanings and it can refer either to a beverage, to a wine bucket, or to an appliance. Let’s see in detail what a wine cooler is. Wine cooler has different meanings in different dialects. That’s why the Collins Dictionary makes a clear distinction between the British and the American English meaning of the phrase. According to the dictionary, the Americans call wine cooler a refreshing beverage obtained from wine and fruit juice. A carbonated drink, usually soda or carbonated water, adds fizz to the wine cooler. The beverage is chilled and usually served with ice during the hotter months. Because the fruit juice prevails overs the wine, wine coolers are typically made with poor quality wine or even with other alcoholic beverages, despite their name. 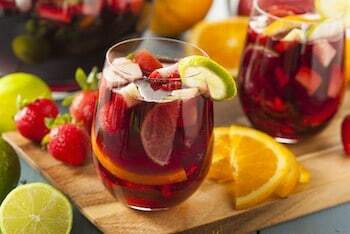 Some famous wine coolers which are exquisite when made with high-quality ingredients include Kir and Sangria. The British, on the other hand, use the term wine cooler to define a bucket-like vessel which is filled with ice and used to chill a bottle of wine before serving. 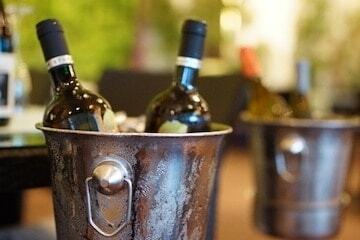 In the hospitality sector, this vessel is usually called a wine bucket to make a distinction between the vessel and a refrigerator. In fact, the last definition of the wine cooler comes from the hospitality sector. Needing to make a clear difference between a container filled with ice and a refrigerator built specifically to preserve and chill wines, the restaurateurs often call the wine refrigerator a wine cooler. This also makes a distinction between the different refrigerators present in an industrial kitchen. 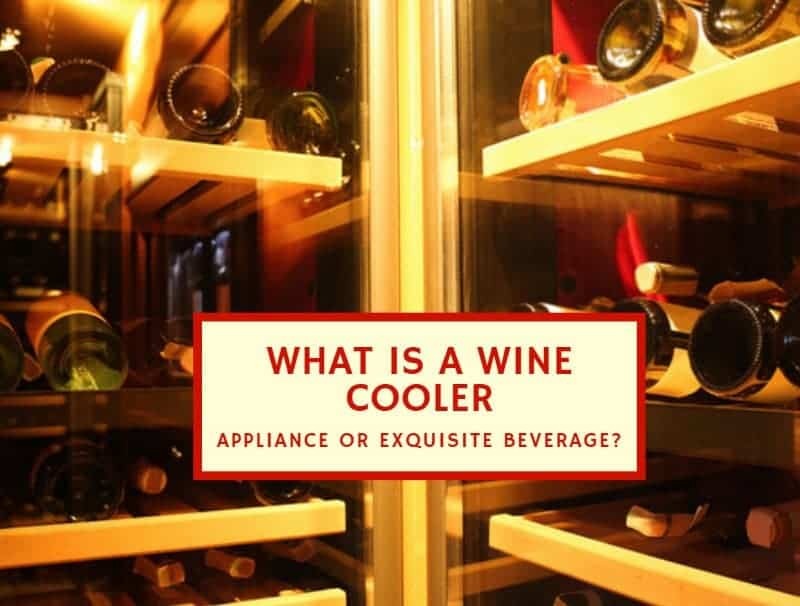 Since restaurateurs and maîtres d' started to use “wine cooler” to describe those appliances built specifically to preserve and chill wine, enthusiasts all over the world adopted the term and started to use it in the same way. The wine coolers - the appliances - can be either single or dual zone and can use either a thermoelectric element or a standard compressor system to chill the wine. Advanced models come with complementary features, such as the possibility to regulate the humidity. Adjustable temperature: whether it’s a single or a dual zone cooler, the temperature can be adjusted and it usually varies between 42 and 65°F. Removable racks: wine coolers are designed to keep your bottles in a cellar-like position, namely horizontally, and are equipped with either wire or wooden racks. 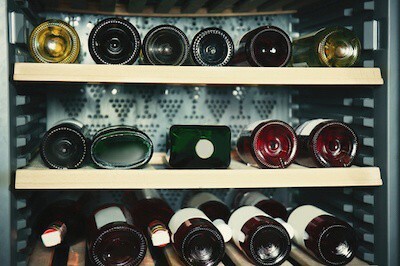 The distance between the racks is calculated based on the standard size of a Bordeaux wine bottle, but the racks are usually removable, giving you the possibility to store larger bottles. This will affect the capacity of the appliance. Glass door: wine coolers are more than a refrigerator. They act as a showcase that preserves and displays your precious wines. 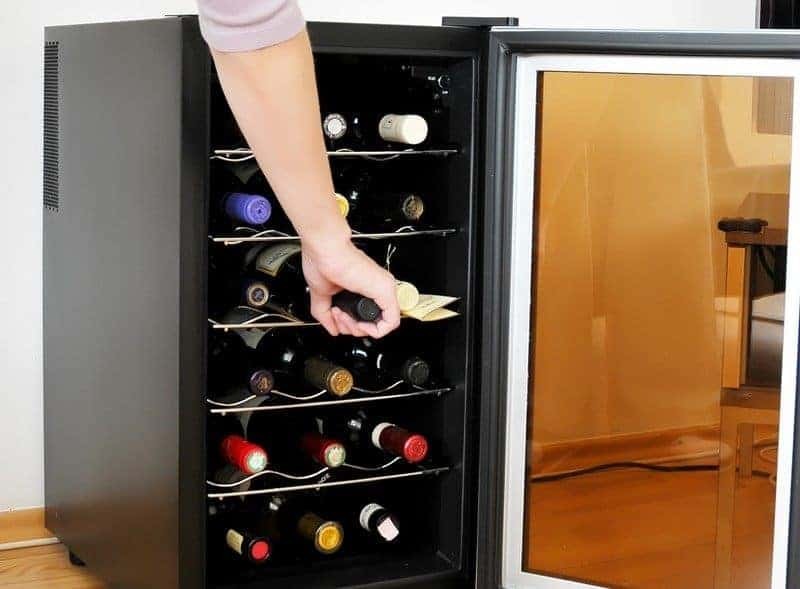 Almost all wine coolers available on the market have a door made of tempered glass which protects the bottles from the UV rays while letting you see the content of the refrigerator. The name of a wine cooler is quite self-explanatory. A single zone wine cooler is an appliance that has a single refrigeration zone. The temperature is maintained at the same level in the whole environment and these models are usually preferred by those who want to preserve their collection of wines - rather than chilling the beverage before serving. Despite the common misconception that various wines have various preservation requirements, the truth is that both reds and whites require the same preservation temperature, which is around 55°F. This is explained by the real cellar conditions. In fact, the environment of a traditional wine cellar doesn’t have adjustable temperature features and winemakers have succeeded for centuries to preserve the characteristics of all wines by aging them in the same environment. Things are slightly different if you want to chill the wines before serving. Reds and whites have different serving temperatures, and in this case, a dual zone wine cooler gives you two environments that can be adjusted to separate temperature levels. This feature is particularly useful if you’re investing in a wine cooler for a small wine shop or tasting room, as you’ll be able to keep several bottles at serving temperature at all times. On the market, there are dozens of models of single and dual zone wine coolers for all budgets and needs. Another distinction can be made between the thermoelectric and compressor wine coolers. Most wine lovers consider the former better than the latter, but things are more complicated than this. Thermoelectric wine coolers use thermoelectric technology to keep wines cool, but they do a rather poor job in chilling the bottles. This technology uses a fan system that expels warm air from the refrigerator, keeping the internal environment colder than the room temperature. However, thermoelectric coolers struggle with maintaining the temperature constant when the room temperature exceeds 77°F due to the lack of a proper cooling system. Compressor wine coolers use the same refrigeration technology of the traditional fridges. Set the temperature, close the door, and let the appliance do the rest. The environmental temperature has no influence on the temperature inside the appliance, which is great if you want to ensure a constant temperature. When it comes to choosing between thermoelectric and compressor, it’s hard to say that one is better than the other. Thermoelectric technology is environmentally friendly, the appliance has a whisper-free operation and there is a minimal level of vibrations. Compressor technology is far from green, the coolers are noisy and there is a higher level of vibrations which may disturb the wine sediment. Yet, compressor technology really keeps the temperature constant and your bottles cool. So, in the end, what are wine coolers? For us, they're refrigerators. A wine cocktail sounds fancier for a refreshing summer beverage and a wine bucket seems like a good name for a bucket designed to hold ice and a bottle or two. What is a wine cooler for you? We can’t tell, but now you can give it the meaning you want! How Much are Wine Coolers? Don’t Spend Too Much!